We used this buttah on our steaks during Snomaggedon 2K11, and it was certifiably nummy. I know some of you out there are skeered to go full fat, but sometimes it just has to be done. See below The Chef’s other variations if you want to get mixy. Some even have fruit in them, so that’s like healthy and stuff, right? Take butter out of fridge to soften. 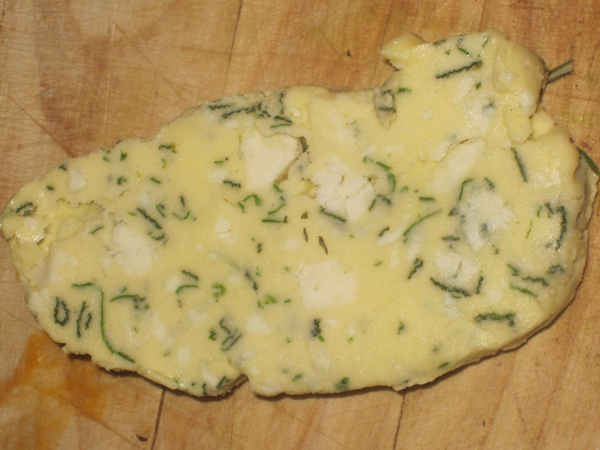 Once it becomes soft, add herbs and blue cheese. 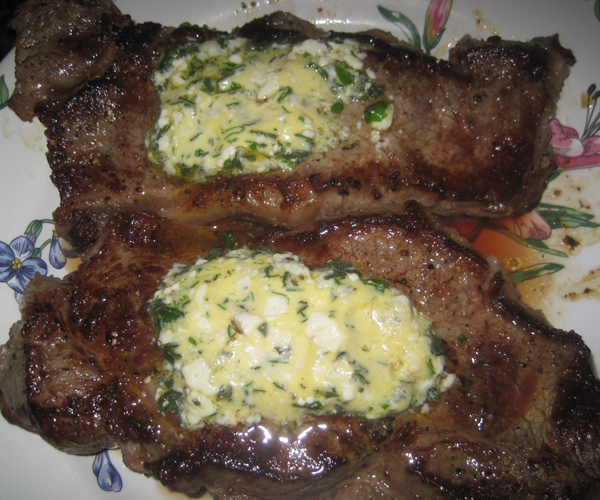 Once mixed, reform it into the butter shape and wrap in plastic wrap. Place in fridge and chill until it is firm enough for slicing.